Diane Stern anchored the news at WBZ NewsRadio from 1983 to 2016. During her more than three decades there, Stern brought listeners the news of some of the region’s most historic stories. From Presidential elections and the New Hampshire primaries, to the Gulf Wars, to the 9-11 attacks, the capture of James “Whitey” Bulger, and the Boston Marathon bombings. Stern was one of New England’s “go-to” journalists when people needed straightforward, unbiased reporting. Stern also specialized in covering stories involving the vast changes in the medical world. She focused on the research and development of new treatments for diseases as well as new technologies that made the jobs of healthcare providers easier. Recently, Stern won the 2017 Regional Edward R. Murrow Award for Best Newscast. 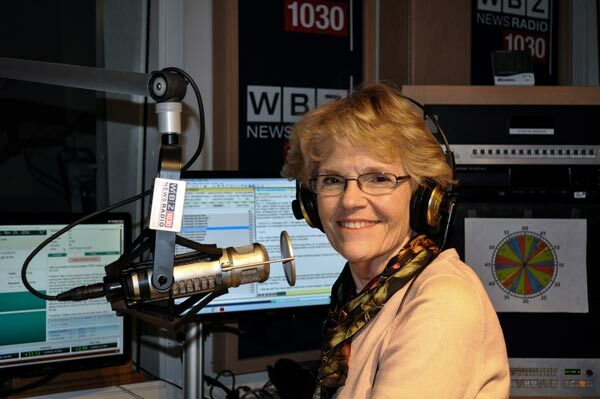 Prior to joining WBZ News Radio, she worked as a morning anchor at WEEI Radio in Boston from 1978 to 1983, WITS and WMEX Radio in Boston from 1976 to 1978, and WMLO Radio in Danvers, Massachusetts from 1975 to 1976. Stern has also been honored with several Associated Press awards for her work in radio, was a finalist in the New York Radio Festival Awards and won for Best Newscaster in the March of Dimes Achievement in Radio Awards of 2000. One of the highlights of her career was covering the New England Blizzard of 1978 for WMEX Radio when the broadcasts were conducted by phone in candlelit studios. Stern also conducted a live interview with President Clinton in 1995. Stern is a Board of Trustees member of and an ESL tutor at the Immigrant Learning Center in an ESL tutor at the Immigrant Learning Center in Malden, and she emcees events for charitable groups including The Arthritis Foundation, the Preeclampsia Foundation, the Salem Literary Festival (Salem Lit Fest), and the Alzheimer’s Association, MA/NH Chapter. Stern is a voice-over artist and is currently the voice of health information for Tufts Medical Center in Boston. Contribute to the Hall of Fame today!